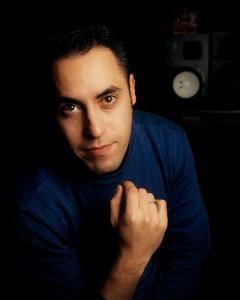 MTV VMA nominated composer Tom Salta is one of the most versatile and prolific music artists/producers working in film, television, advertising and video games. Renowned for crafting emotionally engaging soundtracks for multimedia, Salta has received widespread industry acclaim for his world-class produced scores featured in video game titles such as Halo: Spartan Strike, Halo 2 Anniversary, Halo: Spartan Assault (G.A.N.G. Best Original Soundtrack Award), HALO: Combat Evolved Anniversary, Ghost Recon: Future Soldier, From Dust, Prince of Persia: The Forgotten Sands, Red Steel (IGN Award for Best Original Score), Tom Clancy’s Ghost Recon: Advanced Warfighter and Tom Clancy’s H.A.W.X series. In addition to these scoring assignments, Salta produces music for commercials, Hollywood film trailers and the world’s #1 dance game series, Just Dance. Salta also recently scored the animated film HALO: The Fall of Reach now showing on The Halo Channel and coming soon to Blu-ray/DVD.